Beth was kind of like this long dark tunnel. She was kind of like this little flame at the end of it. He got closer and closer to that flame and thought maybe he could see something and maybe there would be light and it’s getting warmer and warmer… and then someone blew it out. It took some doing, and a lot of moonshine, but the bond that developed between the two was deep and strong. On the surface, it appears to be more of a sibling type of relationship, more a brother and sister than anything romantic, but that hasn’t stopped people from speculating that there might be something romantic between them. 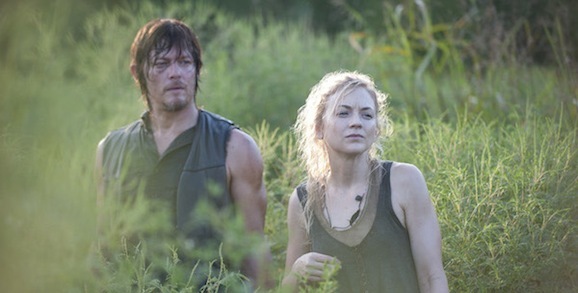 If Daryl has a thing for Beth or whatever, I always saw that as, if he did, he didn’t understand those feelings. He might have felt them, but it wasn’t a thing. He was sort of uncomfortable with those feelings, but there might be hope somewhere down the line and then it was taken from him, again. Reunited with his brother, taken. Found his family in the prison, taken. Almost got Sophia, taken. It’s like over and over and over again. And that happens to all of us. It didn’t take long for Daryl, a character that doesn’t appear in Robert Kirkman’s comics that serve as the source material for The Walking Dead, to establish himself as the best character on the show. And this is a prime example of why. Though he may come across as tough and jaded, he feels things more acutely than anyone else on the show, he just has his own way of showing it. Until that grim trailer surfaced after The Walking Dead panel, we were unsure of Beth’s fate. We don’t know exactly where she is, but it’s not an entirely pleasant place. We hope that she manages to get out of there so there can be more between her and Daryl. Romantic or otherwise, their relationship quickly became one of the high points of the show. We ducked around to one of those vendors and we just bought what they had. 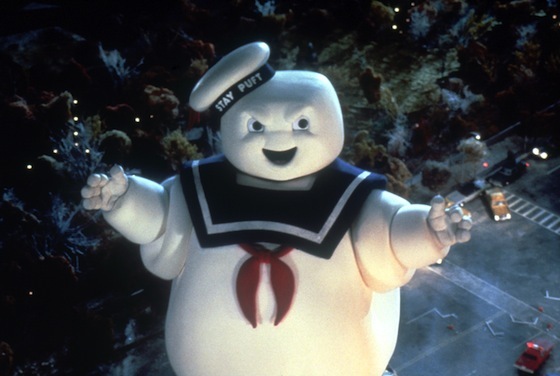 And he went as Spider-Man, I went as the Stay Puft Marshmallow Man. We walked around for a little while, and it was cool. When we came out of there, we went to the hotel and it was so hot that we were just dying in those masks. So finally we pulled them up for a second to just catch some air and we just got bombarded with people. So we got stuck in front of a hotel trying to get out of there. But it was a lot of fun. That may not be quite as incredible as Bryan Cranston wandering around wearing a Walter White (his character from Breaking Bad) mask, or Hugh Jackman roaming the Con in his full Wolverine costume and not getting recognized, but it’s kind of genius nonetheless. Just imagine, if you were there and saw a giant Stay Puft man walking around, there’s a chance it was Norman Reedus, not just some random cosplayer in a badass costume. Season five of The Walking Dead returns Sunday, October 12.